LAS VEGAS (KTNV) — The Catholic Diocese of Las Vegas has made public the names of 33 former clergy members and church associates with connections to Nevada who it says have been "credibly accused" of sexual misconduct with children. Twenty-one of the 33 on the list are dead. Some were also listed among 12 "credibly accused" that the Reno diocese released last week. Officials say they have an open investigation of allegations against one man, 76-year-old Philip Napolitano, who served at diocese schools in North Las Vegas (St. Christopher Catholic School) and Reno (Bishop Manogue H.S.). Napolitano did not immediately respond to a telephone message. It has not been revealed if any of the abuse took place in Las Vegas although there was a notation for Fr. Robert Petekiewicz that a complaint was filed in Las Vegas. The disclosures come amid similar revelations in church districts around the country. 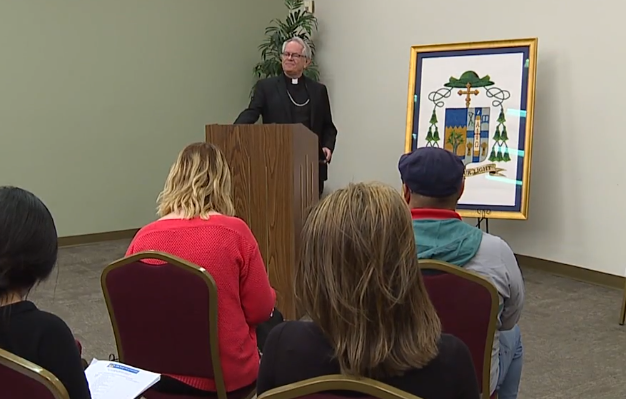 Bishop Thomas said during a press conference on Friday that all church employees and volunteers are now required to undergo a criminal background check and anyone studying to be a priest must also go through a background check and pass psychological testing.